Which is the best, the Canon G2000 or the Epson L380? 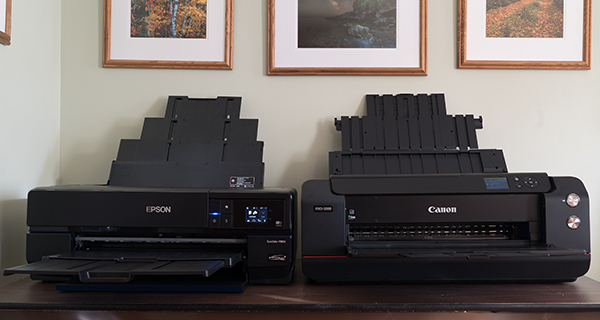 Home>>Epson>>Which is the best, the Canon G2000 or the Epson L380? The Canon G2000 is the low cost printer with a compact design which provides high printing quality. This printer is a good choice for those who have to print a lot of pages frequently. Canon G2000 printer not only prints, it can also Scan and Copy a document as well. Windows and Mac are the compatible operating system for this printer. This printer has a USB connectivity option. Use the printer to get excellent photographs without trimming them. The Epson L380 is designed for medium and small business use. The printer has the capability to Print, Scan and Copy. The printer is compatible with Windows operating system. The Epson L380 printer provides excellent text and photo quality. Connect your printer and PC using a USB cable. First, lets list all the features of both the printers then it will be easy to make a decision from the two printer to find out, which one is best. Rather than taking you through the features of both the printers, let’s talk about the pros and cons of them. Offers a flexible printhead that can be changed. G2000 comes with a high volume ink tank so that the cost of the ink is reduced. It Supports borderless printing of both documents and photos. It doesn’t support wireless connectivity. Produces a print with good quality. Slightly huge in weight when compared with Canon G2000. Epson L380 also does not support wireless. But you can connect using a USB. The only difference in that both printers is the price factor. The Canon G200 is less priced than Epson L380. Previous: Previous post: How To Install Epson Printers?